As a rule I shy away from building for friends but this was an enjoyable exception. 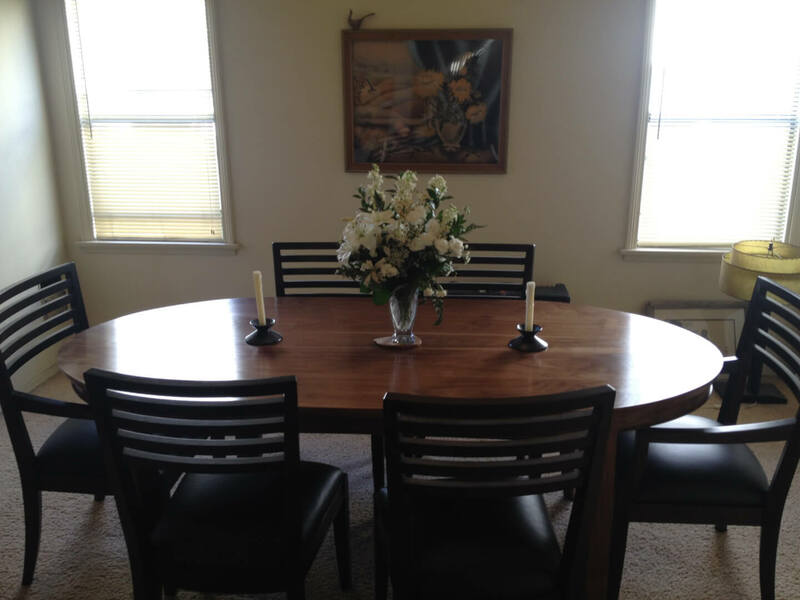 My dear friend Lance Billitzer had purchased some dining room chairs and needed a table that would complement them in his apartment. 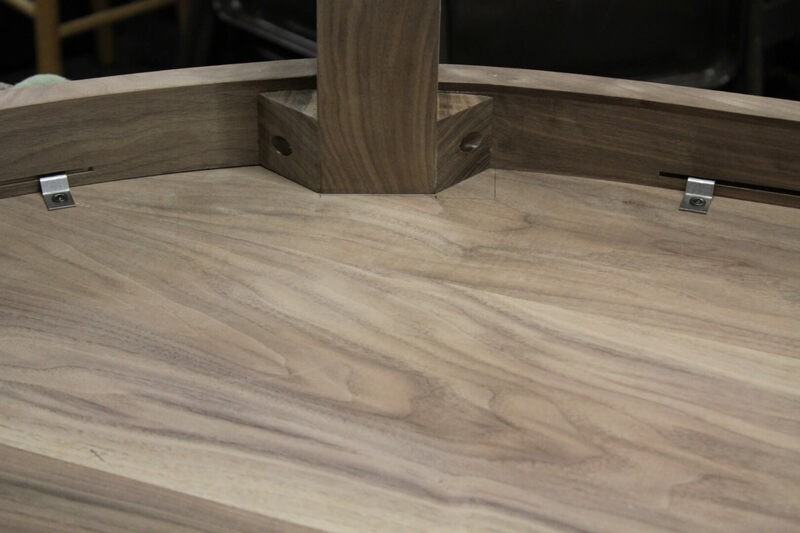 We settled on natural, oil-finished walnut as the material preference and the ellipse as a general shape. 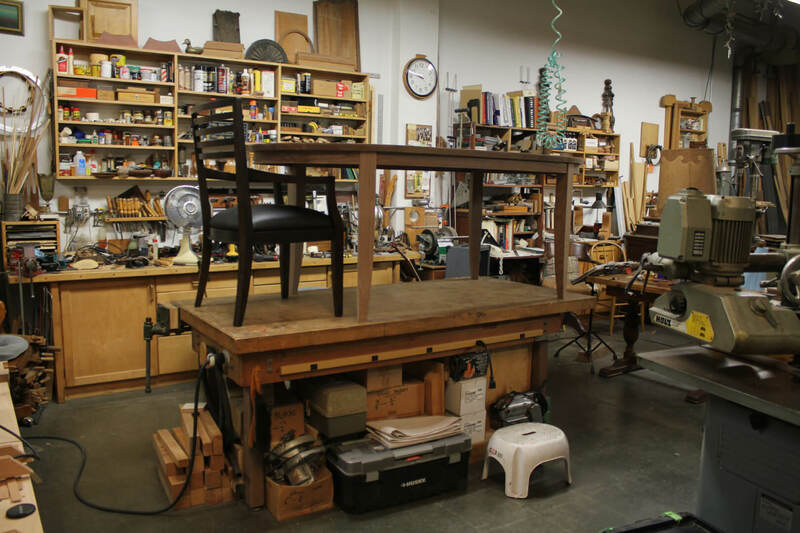 The design challenge was to create a support structure that would accommodate six chairs without restricting leg-room and still provide enough strength to support the solid walnut top. 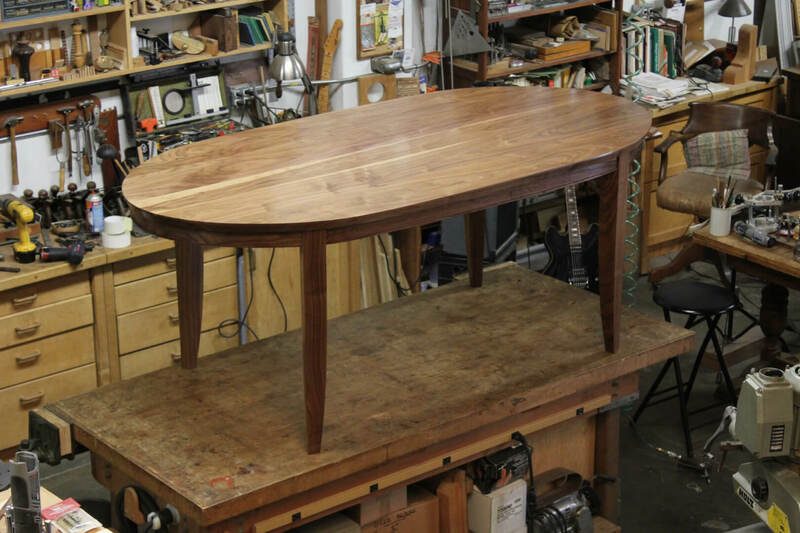 The first order of business was to select the four pieces of walnut that would comprise the top, match the grain and glue them together. 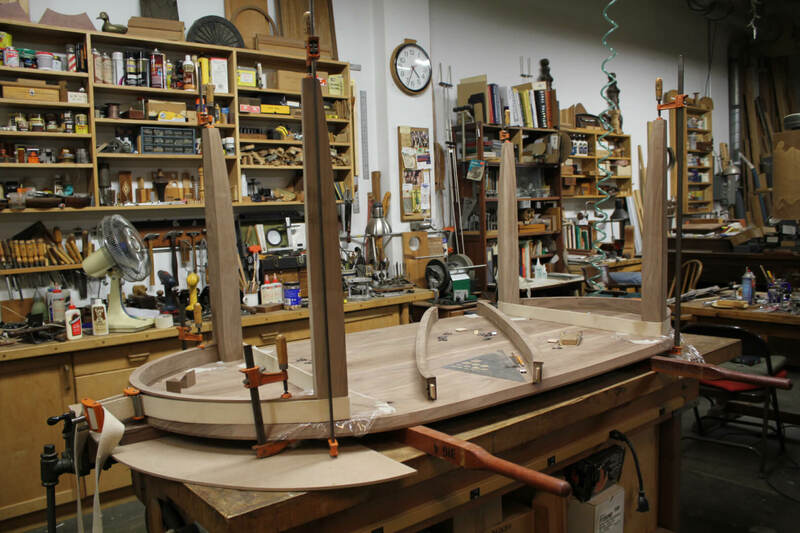 The top was then hand-planed for flatness and router cut to the elliptical shape. 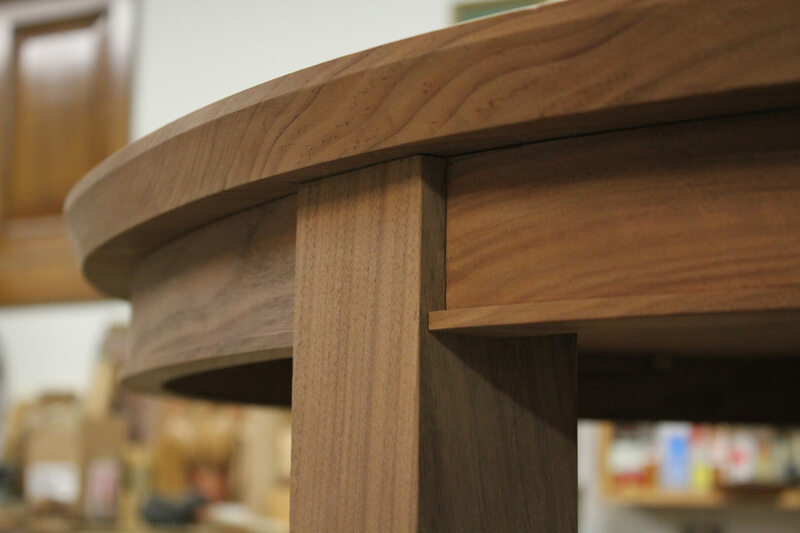 The cantilevered top was undercut at a 30 degree angle, then the leg and apron assembly was capped on the lower edge with a square bead for a finishing detail. The apron segments were loose-tenoned into the legs for strength and rigidity. 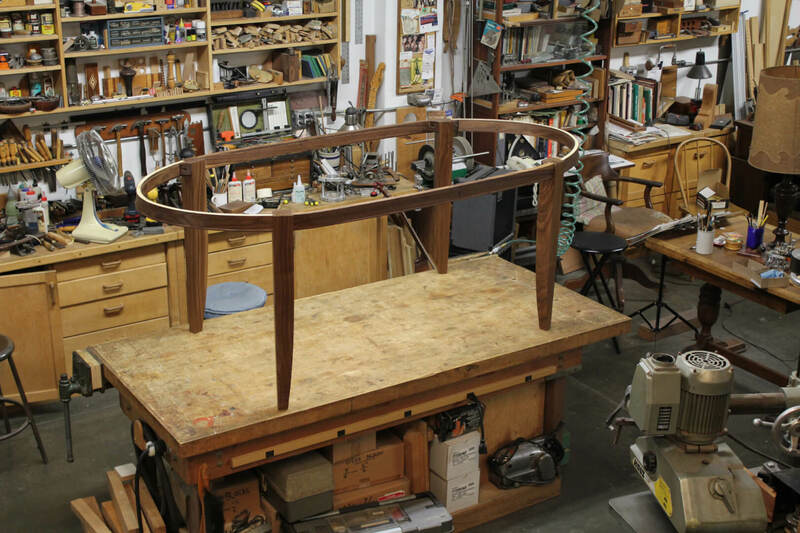 The two end apron components were glued to the legs with web clamps, then assembled to the side aprons to complete the elliptical shape. Triangular glue blocks were installed to add strength to both the legs and apron assemblies. 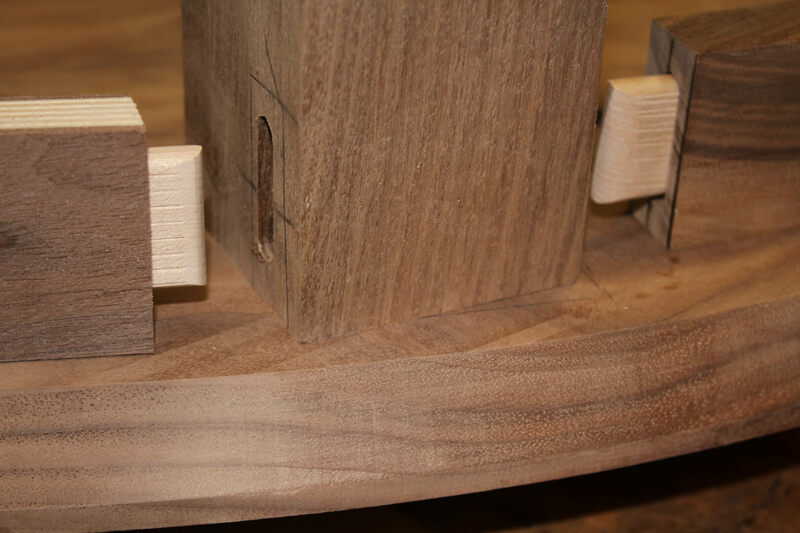 The apron segments were slotted on the interior before assembly to provide the method of attaching the top (using steel clips that allow for expansion and contraction of the solid walnut top). The leg and apron assembly together, ready for the top. A quick look at one of the chairs with the table. The frame with top and with a few initial coats of oil (eventually about 10 coats, then waxed). I particularly enjoyed the finishing process as the client did it all himself.